MOLPay provides complete coverage of payment methods, including credit/debit card processing from Visa, MasterCard, Amex, CUP and JCB in more than 170 currencies, domestic internet banking with more than 100 banks in Southeast Asia, and Online to Offline (O2O) payment or MOLPay CASH. 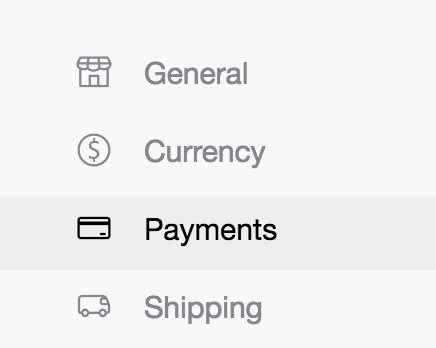 MOLPay CASH accepts cash payments for online purchases, through physical outlets such as convenience stores and petrol stations. MOLPay also offers a wide range of e-commerce payment solutions - from online payment acceptance and processing to fraud management to payment security. MOLPay archived one of the lowest dispute transaction ratio in the online payment industry. For more information, kindly visit MOLPay website or contact them at easystore-my@molpay.com. MOLPay Lite Plan allows you to collect payment via e-banking (online banking). All transaction fee (MDR) will be subjected to 6% GST, therefore an additional 6% of the transaction fee (3.8%) will be deducted during settlement. The transactions’ payment will be settled on weekly basis, meaning the transactions from Monday (first day) to Sunday (cut off day) will be settled in the following Thursday. If the Settlement date falls on non-Business Day, it will be remitted on the next Business Day. 1. Download this forms and fill up the required forms. 2. Send your application with required documents to easystore-my@molpay.com with subject "Lite Account application from EasyStore - (your domain name)". Premium Plan allows you to accept credit card (processing in MYR) as well as Malaysia&apos;s local payment options (such as Internet Banking and E-wallet) for a monthly turnover more than RM5,000. All transaction fee (MDR) will be subjected to 6% GST, therefore an additional 6% of the transaction fee (3%) will be deducted during settlement. The transactions’ payment will be settled on weekly basis, meaning the transactions from Monday (first day) to Sunday (cut off day) will be settled in the following Thursday. If the Settlement date falls on non-Business Day, it will be remitted on the next Business Day. 2. Send your application with required documents to easystore-my@molpay.com with subject "Premium Account application from EasyStore - (your domain name)". 3. 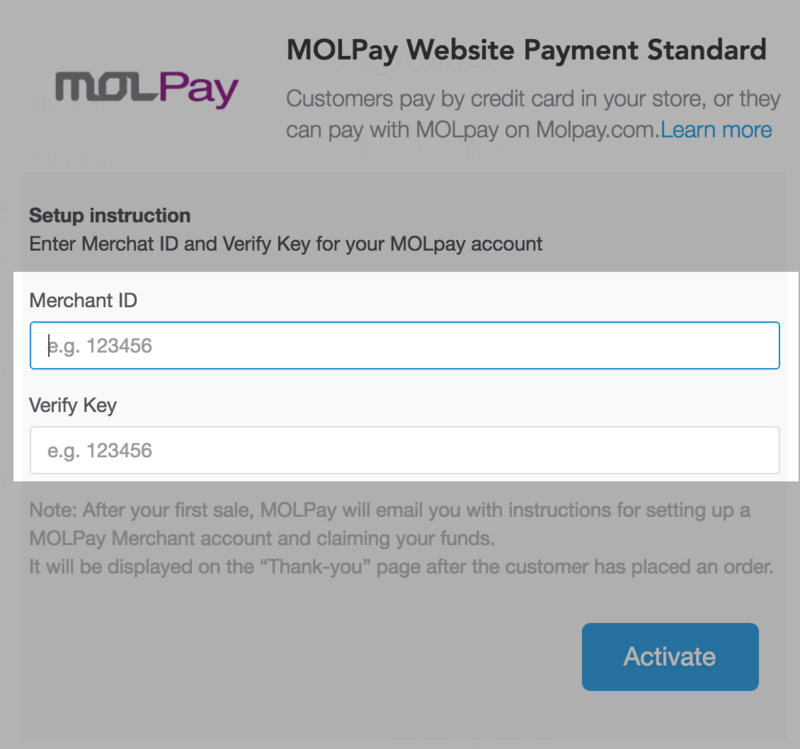 Insert your Merchant ID & Verify Key that MOLPay provides to you > Activate. 4. 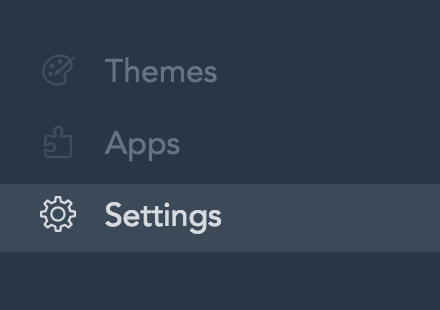 You will need to insert the Return URL, Notification URL & Callback URL in your MOLPay dashboard.